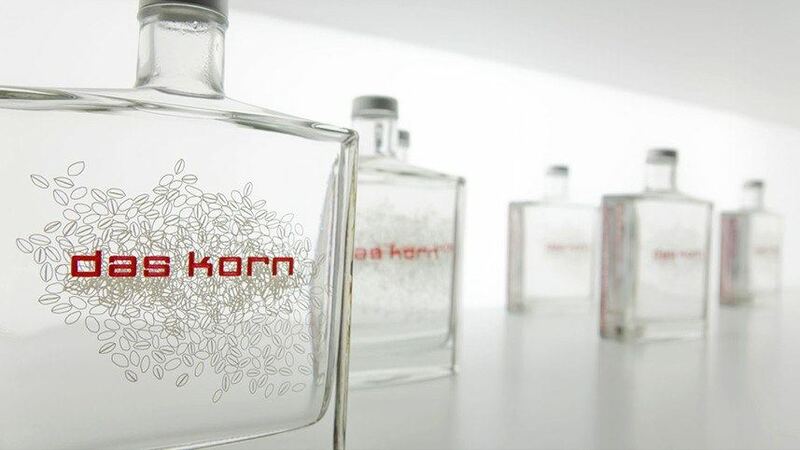 For Berlin-based artist, Theo Lighart, we developed the corporate- and packaging design for the first German super premium grain beverage, Das Korn, which was presented at an art gallery in Berlin. 50 limited edition bottles of the “Doppelkorn” can be purchased as art pieces. 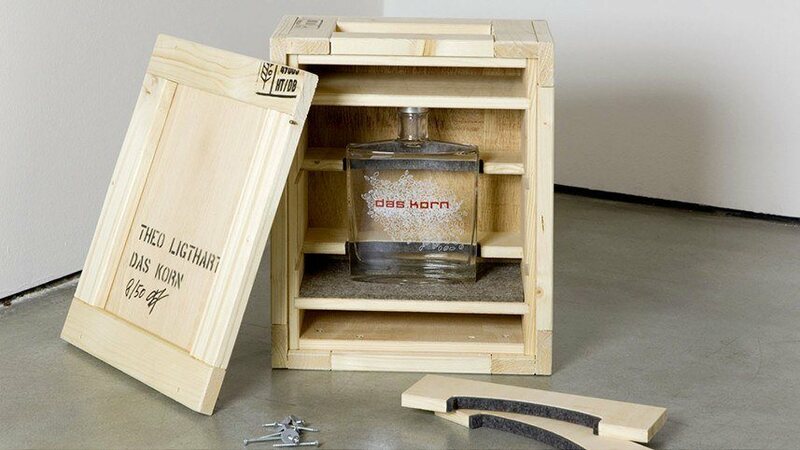 These limited edition bottles are packaged in crates specifically designed to transport fragile works of art. Packaged in bottles designed as a stylish mix between flask and perfume bottle. 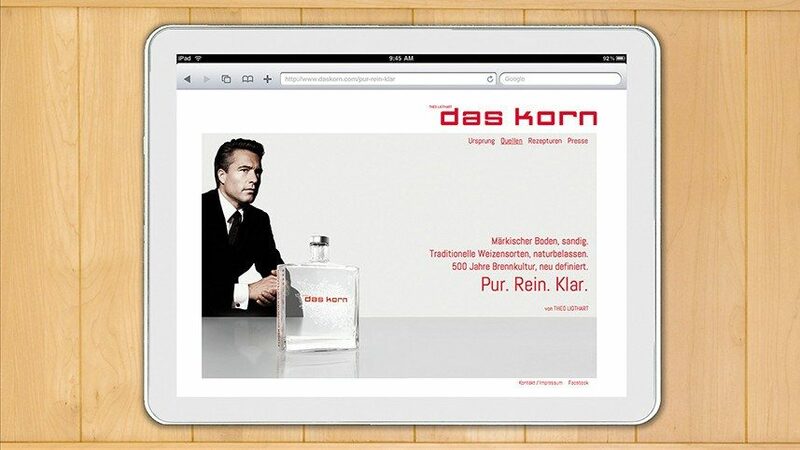 “Das Korn” is a perfect symbiosis between art and luxury item. 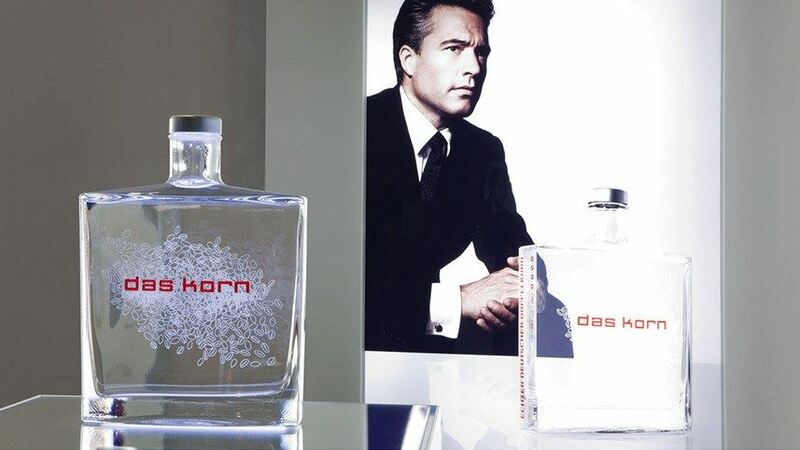 Das Korn is also available for retail purchase and can be found at many of the trendiest bars and party spots, such as Schuhmanns in Munich, Bar Tausend in Berlin and even locations in Soho, New York. With Das Korn, we created a work of art that, in a sense, completely abolished the perception of Korn as a cheap alcohol beverage. As Theo Lighart noted, with Das Korn, we transformed a product, which was traded as an original work of art into a mass commercial product…. 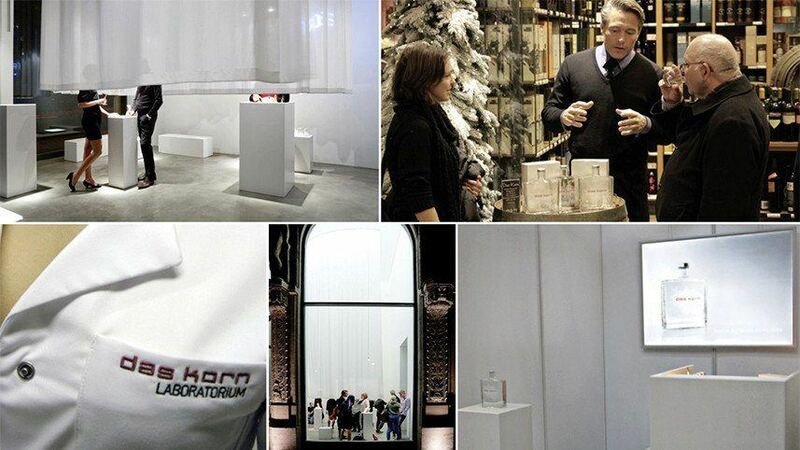 Shown here: Das Korn displayed at an art exhibition and on the sales floor of the KaDeWe in Berlin. Kakoii applied the corporate design to many different forms of media.